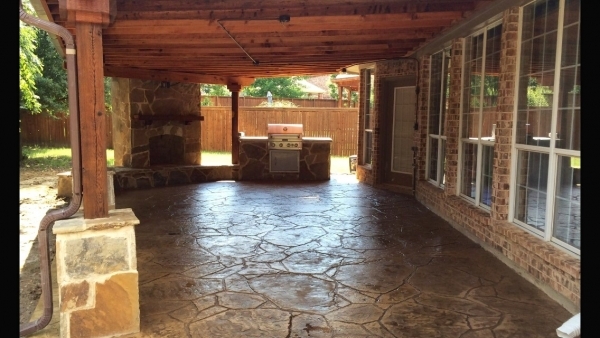 McFall Masonry & Construction is deeply experienced in all phases of concrete flat work as well as stamped and colored concrete design. From everyday ordinary concrete to the creation of “one-of-a-kind” structures, we’ll meet your needs and budget. We provide concrete restoration, the removal of old, damaged concrete and/or the installation of new concrete. 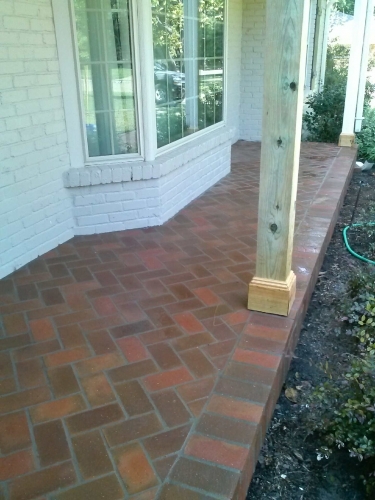 A decorative concrete porch can be part of a stunning entryway to a residence. At some homes, the entry or front porch can be built larger than normal to create places to sit or gather to talk. 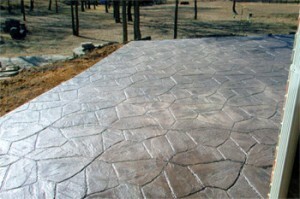 Steps can feature stamped concrete and raised flowerbeds can be tooled to match the flatwork’s stamped pattern. 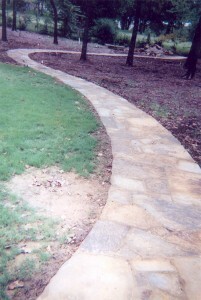 Driveways have become a style statement for homeowners and greatly enhance the “curb appeal” of a home. No job is too small for McFall Masonry & Construction. 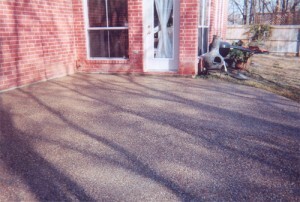 We can replace your old concrete driveway or we can help you design a new driveway that will compliment your landscaping. 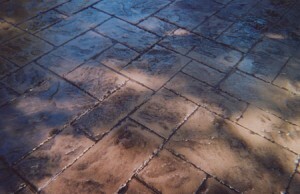 We are experienced with stamped concrete and colored concrete driveway installations. We offer a wide selection of colors and stamp designs. For those adding a room, we set up and pour new foundations using correct PSI strength in the concrete. It is of the utmost importance that the integrity of your concrete is met. Anyone can claim to be a contractor and pour concrete, but it's important to be aware of the preparation involved, proper soil preparation, and the moisture content of the soil. Rebar must be used in North Texas, no exceptions. We always use a minimum of 4″ thickness for all regular concrete slabs, utilize only top-of-the-line products, and have been pouring concrete for 30 years. Our pricing will comfortably fit within your household budget! 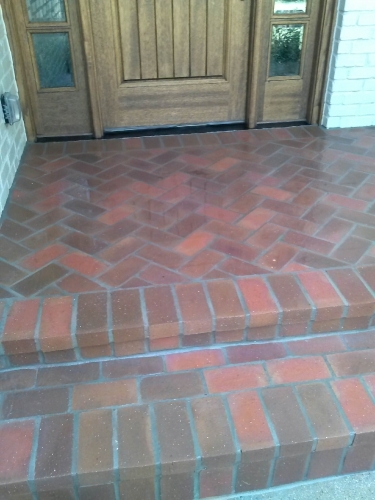 Contact us today for more information about how McFall Masonry & Construction can help you build the perfect concrete patio, porch, driveway, entryway, or more! We’ll schedule a free design consultation where we can discuss your vision and goals.